This $5m project involved the complete refurbishment of the State Government Offices at 2 Treasury Place to provide new accommodation for the Department of Education. The original building was constructed in 1875-76 to the design of Michael Egan. 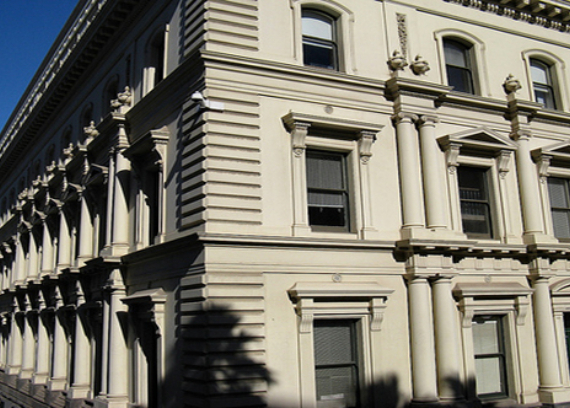 This registered historic building occupies a major part of Treasury Reserve overlooking the Treasury Gardens. Externally the building was given a new slate roof, repairs were carried out to the cement render as well as repainting. Internally a complete strip out allowed for the construction of new flexible office accommodation to contemporary standards. 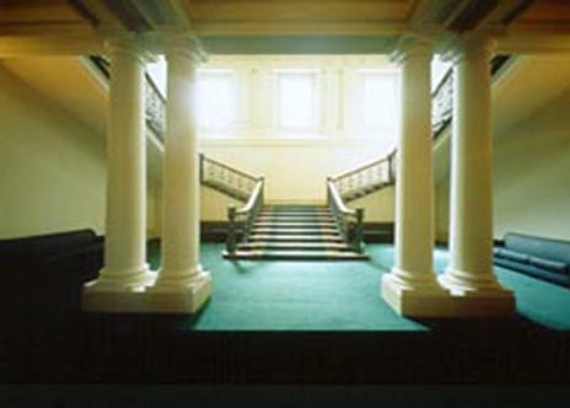 Original parts of the building were retained including the former Premier's Office, the State Cabinet Room and a grand stair and entry hall. When it came to the extensive facade repairs, Kane Constructions in conjunction with a façade specialist developed, trailed and tested an injection system that was cost effective and expedited the construction program. The result is a building which exemplifies the possibilities and value of contemporary fitouts within major historic public buildings. Kane Constructions completed the works in 1997 and project was lauded with multiple awards. Taking a proactive role in a project collective of key project stakeholders, Kane's involvement and innovative problem solving methods were instrumental in the resolution of problems associated with vague archival documentation for the original building.